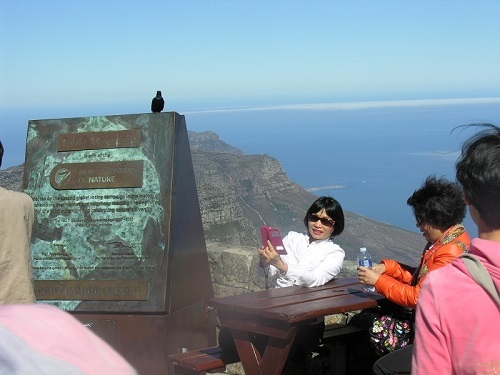 Enjoy one of the most popular tours in South Africa, the Cape Town city tour. Cape Town is southern Africa’s most beautiful, romantic and most visited city. Indeed, few urban centers anywhere can match its setting along the mountainous Cape Peninsula spine, which slides into the Atlantic Ocean. By far the most striking – and famous – of its sights is Table Mountain, frequently shrouded by clouds, and rearing up from the middle of the city. More than a scenic backdrop, Table Mountain is the solid core of Cape Town, dividing the city into distinct zones with public gardens, wilderness, forests, hiking routes, vineyards and desirable residential areas trailing down its lower slopes. Standing on the tabletop, you can look north for a giddy view of the city centre, its docks lined with matchbox ships. To the west, beyond the mountainous Twelve Apostles, the drop is sheer and your eye sweeps across Africa’s priciest real estate, clinging to the slopes along the chilly but spectacularly beautiful Atlantic seaboard. Situated below Table mountain, Cape Town offers a rich cultural and industrial heritage, with a hive of activity and excitement. Join us for an afternoon or morning tour of Cape Town and experience the different seasons of the Mother City from both sides of the mountain. The Cape Town city tour commences with a stop at The V&A Waterfront which is South Africa’s most visited destination, attracting millions of visitors every year with it’s massive range of restaurants, shops, activities and free entertainment. Drive past the residential suburbs of Clifton and Camps Bay, positioned along the Atlantic seaboard this area is home to some of the most stunning beaches in the world. 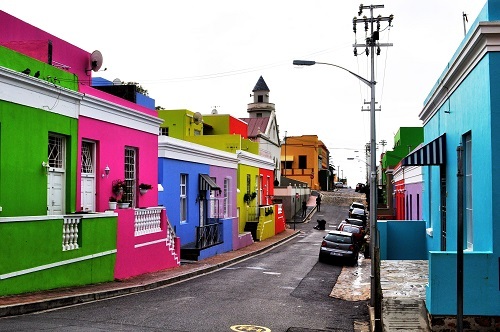 Thereafter visit the Bo-Kaap an area formerly known as the Malay Quarter, famous for its brightly coloured homes and romantic cobble stoned streets. While there stopover at the museum, which dates back to the 1760s, and is the oldest house in the area still in its original form. It highlights the cultural contribution made by early Muslim settlers, many of whom were skilled tailors, carpenters, shoemakers and builders. Proceed to the Castle of Good Hope which is the oldest surviving building in South Africa. Built between 1666 and 1679, this pentagonal fortification replaced a small clay and timber fort built by Commander Jan van Riebeeck in 1652 upon establishing a maritime replenishment station at the Cape of Good Hope (Cape Town) for the Dutch East India Company, better known as the VOC (Verenigde Oos-Indische Compagnie). The Castle of Good Hope houses the regional headquarters of the South African Army in the Western Cape, the famous William Fehr Collection of historic artworks, the Castle Military Museum and ceremonial facilities for traditional Cape Regiments. The tour culminates with a short visit to the Cape Diamond Museum, explore the history of the South African diamond rush and where it all began. Discover the world’s most famous diamonds with life-size replicas on display. Witness first hand how rough diamonds are transformed into creations of fire and light.